UPDATE: A couple of days later, this dishonest post by “Exposing Men’s Rights Activism” has been shared 470 times by people who did not check the facts. No doubt this number will continue to rise. After I pointed out the errors, they have removed the word “mass,” to their credit. This leaves them making the claim that there were three shootings on that day. Of course there were far more than three. There are more than eighty shooting deaths per day in the US. Indeed the only reason for saying that there were three mass shootings was to claim (falsely) that the high profile case in San Bernadino was not the only one. The respectable thing would clearly be to remove the false post altogether. Moreover, they have not acknowledged their initial factual error, they have deleted my comment where I point this out, and they continue to claim that the attack happened at a women’s health clinic, perpetuating a false version of events. Truth is the real casualty in all this. 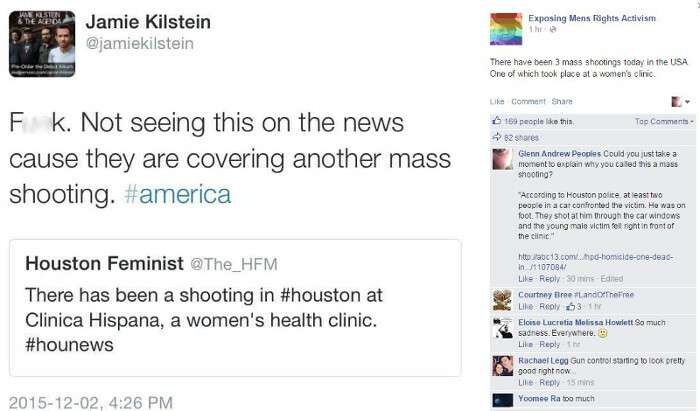 Some abortion rights advocates have started fabricating mass shootings at abortion clinics. Anyone who actually looks into the phenomenon of violence against abortion clinic staff, carried out by those who think abortion is wrong, knows that the reality is much smaller than the perception. Such incidents are rare and in severe decline, the facts show. Obviously whether or not abortion is morally permissible is quite independent of incidents like this, but still, some proponents of abortion rights do try to silence the vocal critics of abortion because of such incidents, as I mentioned recently. Unfortunately, however, whether or not the allegations about these incidents are even true is starting to matter less, it seems. By now many or most readers will know about the shooting in Colorado Springs at a Planned Parenthood Clinic. Capitalising on the violence (say I), proponents of abortion rights are using the incident to maintain that abortion opponents must stop publicly making strong claims against abortion. Some of the complaint is simple misinformation (denying that Planned Parenthood traded in any sense in the parts of unborn babies). 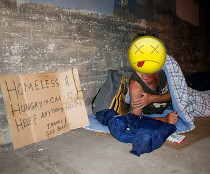 But there is also the claim, echoed by many, that strongly condemning the killing of unborn children has consequences. It inspires shooters like this guy, so it has to stop. We can think abortion is wrong (if we must be so benighted, but we mustn’t call it a horrendous evil. This is wrong. You may not tell people to keep this opinion to themselves because of the actions of this or any other shooter. We understand this principle most of the time. Here are a couple of examples that help us to see this. I don’t know the cause, perhaps it’s the current political climate in the US with political hopefuls vying to be their party’s candidate for President. But just now it seems the issue of abortion has exploded in my social media feeds, replete with (rather unwelcome) grizzly images of dismembered unborn babies. For what it’s worth, please be considerate of people who might not actually want to see such horrible things when they log in to catch up with friends or discuss other things. Do you want to be bombarded with unexpected and very graphic images of beheading victims, stabbing victims, crash victims and so on? But abortion is so hot right now, it seems. Abortion is one of those issues where people just seem entrenched (the related issue of stem cell therapy is somewhat similar in this regard). No amount of pleading seems to get people to move – usually, at least. There are people who assume (quite wrongly, I say) that it’s simply a religious issue. You would never oppose abortion unless you were religious, they think. There are those (like presidential hopeful Bernie Sanders) who think (again, very wrongly, I say) opposition to abortion is an attack on women and their reproductive rights. I don’t think any comments like this have any merit, and I think they are evidence that many defenders of abortion rights are not seriously listening, or they don’t really want to know why people oppose abortion (or they do, but they are willing to misrepresent the opponents of abortion, which is a hallmark of partisanship). There is already plenty of exposure to the now infamous undercover videos of staff at Planned Parenthood where it is clear that they engage in the practice of selling the parts of aborted babies. After viewing them, I do not believe there is any way to dismiss the footage as a distortion, as misleading, or as taking things out of context in a way that only makes it appear that this is what the staff are offering to do, when in reality they are not. That sort of denial is not plausible, and yet that is the sort of thing we are seeing. Having seen this sort of denial a couple of times now, the most charitable conclusion I can draw is that the people who would make this claim are simply believing the best of Planned Parenthood and have not actually viewed the footage for themselves. For that reason alone, here are the videos that I have seen, and you are invited to watch them for yourselves. There may be others, but these are the ones I have personally watched. You might want to argue that there is nothing wrong with what is happening here. You might want to argue that the law should allow the trade of unborn baby parts. You would be pretty consistent in doing so, I think, once you accept that unborn babies can be dismembered and killed. But I am just gathering together what I have seen, as others are doing, so that we can stamp out the claim (the hope, perhaps) that trade in unborn baby parts is not happening. It is. Deal with it. Please be aware that some of the footage is very disturbing, dealing with abortion and the sale of parts of dead babies. You will see body parts if you watch the first video. Fuller footage is available for those who allege that these videos have been creatively edited to give a misleading impression. This is not difficult to find for yourself and is available at Youtube. Watching the full, unedited footage is a prerequisite for anyone who wants to imply that these videos have been edited to give a misleading impression. I’ve seen a couple people share this picture. I’ve removed the original speaker’s name, but he’s a relatively well-known speaker in Evangelical circles and is does a lot of work in Christian apologetics. I also have no particular issue with him in general, so I didn’t want to make it about him at all. 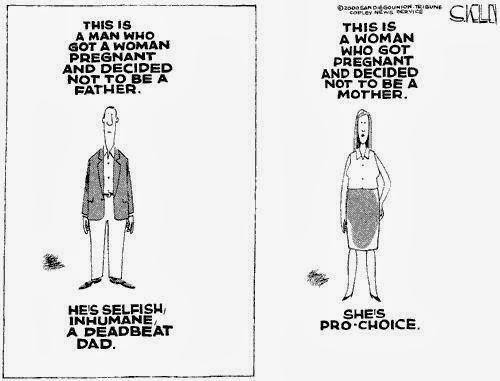 If the unborn is not a human person, no justification for abortion is necessary. 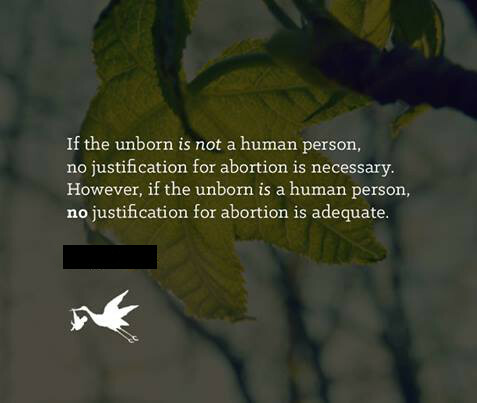 However, if the unborn is a human person, no justification for abortion is adequate. You may think it unfair to criticise such a short piece of text. Surely I’m taking things out of context. I disagree. Someone put this picture together to share, all by itself. Presumably the intention in sharing it is that someone will see it and see that it really spells out a simple truth in a clear and concise way. I don’t believe that even couched in a much longer talk, the meaning of what is claimed here could properly be construed in anything other than a direct, literal way.